Homemade baby food has never been this easy! Introduce your baby to a variety of foods, textures and flavors with this parent-powered masher. 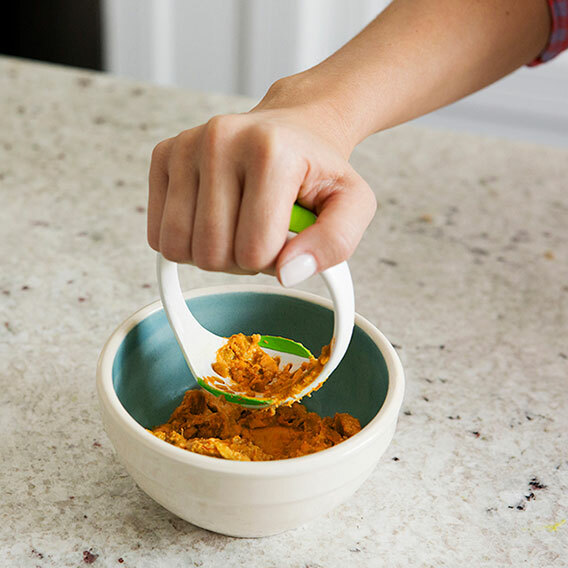 This handheld tool quickly & easily mashes cooked or soft foods without a million electronic parts to clean, making homemade food prep a breeze! Use masher to grind up fruits and vegetables and voilà, the perfect baby puree is ready to serve! Includes a cap to keep masher clean for use on-the-go! Guaranteed to be a "smash hit" for you and your little one!